Issues 1–4 edited by the late John Bishop, thereafter by Stephen Connock. Change of style from the ‘headlined’ to a ‘themed’ Journal. All issues have a basic core of letters, reviews of recordings and concerts and Society news. In February 2005 William Hedley took over as Editor from Stephen Connock. New design and format gradually introduced. Free downloads available of Issues 1–40 (see below). nb 1-17 are pdfs produced from scans. Later editions, from no 18 onwards, have been produced electronically and are therefore of a much higher quality. Specially commissioned for the composer’s 50th anniversary year, our handsome binders are custom made for the Society in black with gold lettering on the spine. Each one holds twelve issues (four years’ worth) with easy-to-use elasticated cords. Price: £15.00 each inclusive of p&p. Rob Furneaux gives A View from the Far West. Jean Lacroix – To be a French Speaker and love the music of RVW: a contradiction? 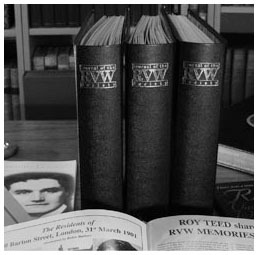 Gwyn Parry-Jones on The inner and outer worlds of RVW. David Tolley – Tracking down RVW’s music for The Mayor of Casterbridge contradiction? Report on our first AGM and concert. Down Ampney Appeal fund launched. 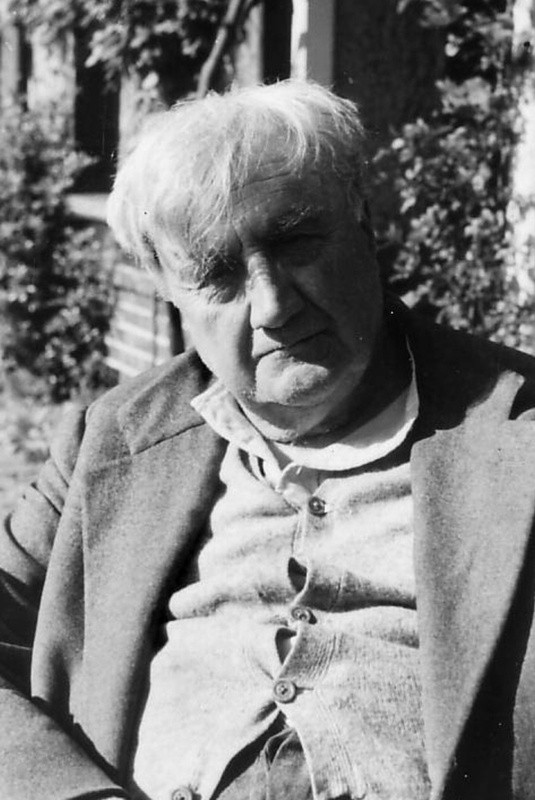 Vaughan Williams and Finzi, by Stephen Banfield. Elsie M Payne on Vaughan Williams and Folk-song. RVW – A Memoir by Sir John Barbirolli from 1958. Launch of Albion Records the RVW Society recording arm. Stars of the Night: Stephen Connock introduces Albion’s latest CD.